Whether you were looking to invest in a stylish new pad in an up-and-coming Sydney suburb or you were on the hunt for your next family home, this past year has offered plenty of great choices. Let’s look back over 2017 to revisit some of the most popular NSW apartment developments. What a year 2017 has been for the off the plan apartment market in New South Wales. We’ve seen older developments announce exciting releases of new apartments and new developments launch to market with a collection of beautiful residences. If you’re in your element when holidaying at a 5-star resort, then One The Waterfront could be the place for you. The new development creates a sublime resort-style ambience through luxurious finishes throughout the apartments and an almost overwhelming range of on-site amenities. Whether you’re cosying up under the stars at the outdoor rooftop cinema or you’re picnicking on the majestic landscaped grounds, the sense of utter indulgence that vacations offer will become your every day. 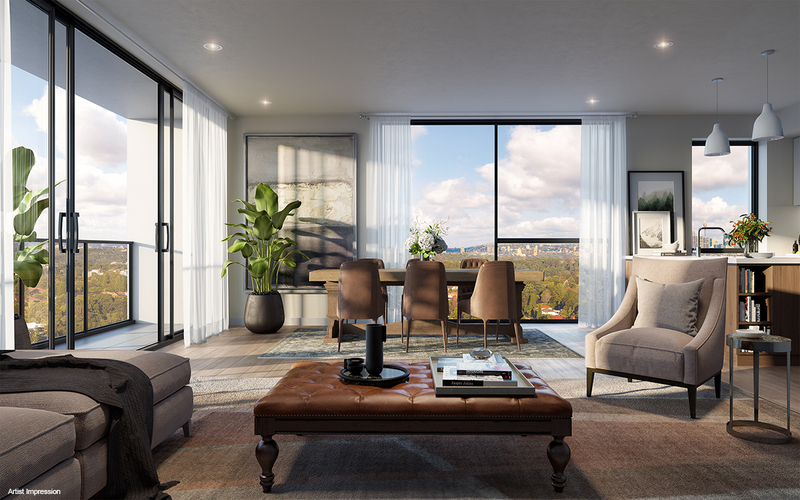 This Homebush development puts boutique luxury within your reach. The apartments are classic yet modern, with fluid living spaces and generous terraces and balconies. The bathrooms are Lotus Place’s most elegant and innovative expression of design, with large format tiles covering the space in an alluring dark grey pattern. Surrounded by a vibrant neighbourhood, this is the perfect place to call home. Set in the waterfront suburb of Botany, just a stone’s throw from Sydney CBD, Pemberton on the Park celebrates the natural playground of its leafy surrounds. Nature lovers will be excited to discover that each of this development’s three towers has its own garden for you to enjoy. You can step out from your oversized, luxuriously appointed apartment to enjoy the outdoors whenever you wish. This architectural masterpiece set in the heart of Carlingford contains one, two and three bedroom apartments that are perfect for the modern family. With European kitchens and living spaces that open up completely onto charming balconies, the lifestyle on offer here is fully in tune with what buyers are looking for in their next apartment. Oxford Central’s perfect positioning allows residents to enjoy grandstand seats to Epping’s exciting transformation. The apartments within are imbued with refined elegance and showcase impeccable craftsmanship in every room of the home. Whether you’re cooking in the state-of-the-art kitchen, dining on the oversized balcony or falling asleep in the comfortable bedroom, you’ll enjoy the backdrop of the beautiful surroundings through expansive glazing. It’s safe to say that 2017 brought with it an exceptional array of apartment developments. With 2018 just around the corner, an exciting selection of brand new developments launching soon is set to make the new year even better than the last. Discover the full range of NSW off the plan developments currently open for enquiry.